"Mushrooming" redirects here. For the 2012 Estonian film, see Mushrooming (film). Mushroom hunting, mushrooming, mushroom picking, mushroom foraging, and similar terms describe the activity of gathering mushrooms in the wild, typically for eating. This is popular in most of Europe, including the Nordic, Baltic, and Slavic countries and the Mediterranean Basin, as well as in Australia, Japan, Korea, Canada, the Indian subcontinent, and the northwestern, northeastern, Midwestern and Appalachian United States. 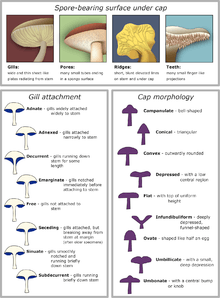 Morphological characteristics of the caps of mushroom, such as those illustrated in the above chart, are essential for correct mushroom identification. Clitocybe rivulosa is an example of a deadly mushroom species sometimes misidentified as an edible species. For more details on this topic, see Mushroom poisoning and List of deadly fungi. Familiarity with information about deadly mushrooms that are look-alikes of edible ones, as "deadly twins" differ regionally. Not gathering mushrooms that are difficult to identify. This applies especially to the mushrooms of the genus Amanita and Cortinarius and "little brown mushrooms". Consuming only a small amount the first time a new species is tried. People react differently to different mushrooms, and all mushroom species can cause an adverse reaction in a few individuals, even the common champignon. Inocybe lacera is a typical little brown mushroom, and is easily identifiable only by distinctive microscopic features. "Little brown mushrooms" (or LBMs) refers to any of a large number of small, dull-coloured agaric species, with few macromorphological uniquely distinguishing characteristics. As a result, LBMs typically range from difficult to impossible for mushroom hunters to identify. Experienced mushroomers may discern more subtle identifying traits that help narrow the mushroom down to a particular genus or group of species, but exact identification of LBMs often requires close examination of microscopic characteristics plus a certain degree of familiarity or specialization in that particular group. For mycologists, LBMs are the equivalent of LBJs ("little brown jobs") and DYCs ("damned yellow composites") that are the bane of ornithologists and botanists, respectively. "Big white mushroom" (or BWM) is also sometimes used to describe groups of difficult to identify larger and paler agarics, many of which are in the genus Clitocybe. Psilocybe semilanceata is hunted for its psychotropic properties. For more details on this topic, see Psilocybin mushrooms. The Amanita muscaria's psychotropic properties have been traditionally used by shamans in Siberia in their rituals. However, its use for such purposes today is very rare, despite the mushroom's abundance. 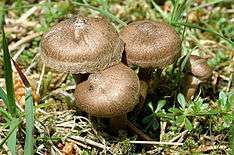 Instead, the Psilocybe semilanceata is sought after for its hallucinogenic properties, the latter being more desirable with fewer side effects than those of A. muscaria. The use of P. semilanceata is however significantly hindered by its small size, requiring larger quantities and being hard to spot. Other Psilocybe species are abundant in the American south and west, as well as Mexico, where they have been used by traditional shamans for centuries. In the west, one can often find mushroom pickers in cow pastures in a stereotypical stoop looking in the grass for psilocybes. This can be quite dangerous, as many species grow in pastures and amateurs often misidentify psilocybes. 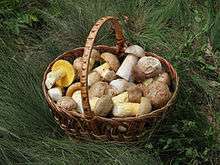 In the United States mushroom picking is popular in the Appalachian area and on the west coast from San Francisco Bay northward, in northern California, Oregon and Washington, and in many other regions. British enthusiasts today enjoy an extended average picking season of 75 days compared to just 33 in the 1950s. In Slavic countries and Baltic countries, mushroom picking is a common family activity. 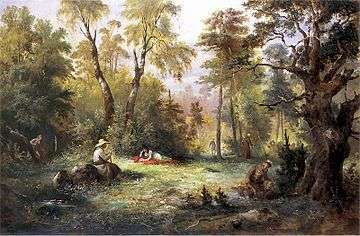 After a heavy rain during the mushroom season whole families often venture into the nearest forest, picking bucketfuls of mushrooms, which are cooked and eaten for dinner upon return (most often in omelettes with eggs or fried in butter) or alternatively dried or marinated for later consumption. Nuclear fallout from the Chernobyl disaster is an important issue concerning mushroom picking in Europe. Due to the wide spread of their mycelium, mushrooms tend to accumulate more radioactive caesium-137 than surrounding soil and other organisms. State agencies (e.g. Bellesrad in Belarus) monitor and analyze the degree of radionuclide accumulation in various wild species of plants and animals. In particular, Bellesrad claims that Svinushka (Paxillus ssp. ), Maslenok (Suillus ssp. ), Mokhovik (Xerocomus ssp. ), and Horkushka (Lactarius rufus) are the worst ones in this respect. The safest one is Opyonok Osyenniy (Armillaria mellea). This is an issue not only in Poland, Belarus, Ukraine and Russia: the fallout also reached western Europe, and until recently the German government discouraged people gathering certain mushrooms. The situation is treated with black humor in some Russian jokes. Many mushroom guidebooks call attention to similarities between species, especially significant if an edible species is similar to, or commonly confused with, one that is potentially harmful. False chanterelles (Hygrophoropsis aurantiaca), as the name suggests, can look like real chanterelles (Cantharellus cibarius) to the inexperienced eye. The latter do not have sharp gills, but rather blunt veins on the underside. Misidentification in this case is not likely to prove significantly dangerous, as false chanterelles are considered edible, but unpleasant tasting. Mild symptoms have been reported from consuming them. Conversely, the Jack O'Lantern mushroom is often mistaken for a chanterelle, and it is potently toxic. True morels are distinguished from false morels (Gyromitra spp. and Verpa spp.). False morels have caps attached at the top of the stalk, while true morels have a honeycombed cap and a single, continuous hollow chamber within. Immature Chlorophyllum molybdites can be confused with edible Agaricus mushrooms. Immature puffballs are generally edible, but care must be taken to avoid species such as Scleroderma citrinum and immature Amanitas. These can be identified by cutting a puffball in half and looking for a dark reticulated gleba or the articulated, nonhomogeneous structures of a gilled mushroom, respectively. Highly poisonous Conocybe filaris and some Galerina species can resemble Psilocybe, and the species are observed growing alongside each other. 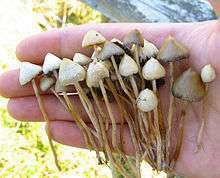 Psilocybe species are not deadly but contain the alkaloids psilocybin and psilocin, known to cause hallucinogenic effects; therefore it is often sought for use as a recreational psychedelic drug. There are treatments to reduce or eliminate the toxicity of certain (but not all) poisonous species to the point where they may be edible. For instance, false morels are deadly poisonous when eaten raw or incorrectly prepared, but their toxins can be reduced by a proper method of parboiling. Prepared in this way, this mushroom is widely used and considered a delicacy in many European countries, although recent research suggests that there may still be long-term health consequences from eating it. 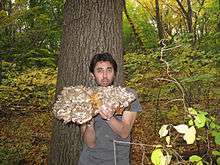 A large hen of the woods (Maitake) specimen found in New York state. Commonly gathered species, grouped by their order taxa, are as follows: mushroom species mentioned in each group are listed at the end of the paragraph using the following convention: Latin name (common English names, if any). The Macrolepiota genus, usually the Macrolepiota procera, and, to a lesser extent, the M. rhacodes are highly regarded, especially in Europe, being very palatable and very large, with specimens of M. procera as high as one metre being reported. Agaricus bisporus also known as the table or button mushroom. Sales of this mushroom in 1996 reached $209 million in Canada. Another well known mushroom known as the portobello is a large brown strain of this fungus. Coprinus comatus (shaggy ink cap) decomposes into ink, and hence are prepared soon after picking and only young specimens are collected. While being a general mushroom hunting guideline, the avoidance of specimens growing in areas with high pollution is especially important with this family, as it is a very effective pollutant absorber. While the family of Amanitas are approached with extreme caution, as it contains the lethal Amanita phalloides and Amanita virosa, those confident in their skills often pick the Amanita rubescens, which is highly prized in Europe and to a much lesser extent in Russia, accounted by some not to superior taste, but to its relation to the Amanita caesarea, which is not found in Russia, but was considered a delicacy worthy of the emperor in Ancient Rome. The Leccinum genus includes two well-known mushroom species named after the trees they can usually be found next to. The Leccinum aurantiacum (as well as the Leccinum versipelle), found under aspen trees, and the Leccinum scabrum (as well as the L. holopus), found under birch trees. The secondary mentioned species, are significantly different in cap colour only. 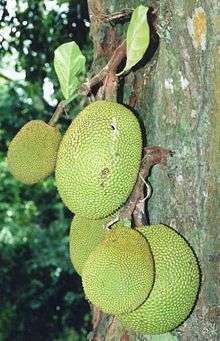 Both types are very sought after, being highly palatable, while more common than the B. edulis. The Suillus genus, characterised by its slimy cap, is another prized mushroom, the Suillus luteus and Suillus granulatus being its most common varieties, and while abundant in some parts of Eurasia, is a rare occurrence in others. It is easy to identify and very palatable. The Xerocomus genus is generally considered a less desirable (though mostly edible) mushroom group, due to common abundant mould growth on their caps, which can make them poisonous. The Xerocomus badius, however is an exception, being moderately sought after, especially in Europe. Some scientific classifications now consider species in the Xerocomus genus as members of Boletus. The Cantharellus cibarius, a common and popular mushroom, especially in Europe, is a choice edible and unique mushroom. It is very rarely infested by worms or larvae, has a unique appearance, and when rotting, the decomposed parts are easily distinguishable and separable from those that are edible. The Gyromitra esculenta is considered poisonous, but can be consumed if dried and stored for over a year, according to Slavic literature, and can be used to supplement or replace morel (see Morchellaceae below) mushrooms, while Western literature claims that even the fumes of the mushroom are dangerous. It is similar to morels both in appearance and palatability. 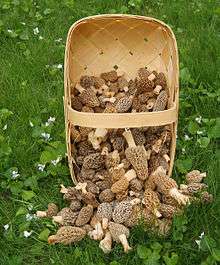 The morel, Morchella esculenta is highly prized in Western Europe, India and North America. It is significantly less prized in Slavic countries where, like the Gyromitra esculenta, is considered marginally edible with mediocre palatability. Boiling the mushroom and discarding the water is often recommended. Members of the genus Lactarius, as the name suggests, lactate a milky liquid when wounded and are often scoffed upon by Western literature. The Lactarius deliciosus is however regarded as one of the most palatable mushrooms in Slavic culture, comparable to the Boletus edulis. Also considered as similarly palatable are the species Lactarius necator and particularly Lactarius resimus. Thermal treatment may however be necessary in some cases. Slightly less appealing due to its bitter taste is the Lactarius pubescens. The Russula family includes over 750 species and is one of the most common and abundant mushrooms in Eurasia. Their cap colours include red, brown, yellow, blue and green and can be easily spotted. The Russula vesca species, one of the many red-capped varieties, is one of the most common, is reasonably palatable and can be eaten raw. The edible Russulas have a mild taste, compared to many inedible or poisonous species that have a strong hot or bitter taste. The Russula emetica (the sickener) is known to cause gastrointestinal upset and has a very hot taste when a small bit is placed on the tongue. Due to their abundance they are however often regarded as an inferior mushroom for hunting, since they may be eaten if parboiled. Armillaria (honey mushroom, shoestring rot). The genus Armillaria, with the popular species A. gallica and A. mellea, being so similar that they are rarely differentiated, are palatable, highly abundant mushrooms. Generally found on decaying tree stumps, they grow in very large quantities and are easy to spot and identify, arguably reducing the fun and challenge in mushroom hunting. Pleurotus ostreatus (oyster mushroom). It is the most commonly picked tree-dwelling mushroom and is often also artificially cultivated for sale in grocery stores. This sturdy mushroom can be quite palatable when young. Growing these mushrooms at home can be a profitable enterprise and some Russians engage in the activity. Tricholoma matsutake - = syn. T. nauseosum, the rare red pine mushroom that has a very fine aroma. Its fragrance is both sweet and spicy. They grow under trees and are usually concealed under fallen leaves and the duff layer. It forms a symbiotic relationship with the roots of a limited number of tree species. In Japan it is most commonly associated with Japanese red pine. 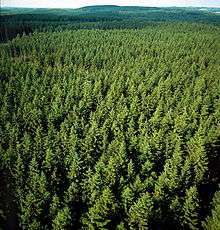 However, in the Pacific Northwest it is found in coniferous forests of Douglas fir, noble fir, sugar pine, and Ponderosa pine. Farther south, it is also associated with hardwoods, namely tanoak and madrone forests. The Pacific Northwest and other similar temperate regions along the Pacific Rim also hold great habitat producing these and other quality wild mushrooms. In 1999, N. Bergius and E. Danell reported that Swedish (Tricholoma nauseosum) and Japanese matsutake (T. matsutake) are the same species. The report caused the increased import from Northern Europe to Japan because of the comparable flavor and taste. Matsutake are difficult to find and are therefore very expensive. Moreover, domestic productions of Matsutake in Japan have been sharply reduced over the last fifty years due to a pine nematode Bursaphelenchus xylophilus, and it has influenced the price a great deal. The annual harvest of matsutake in Japan has since further decreased. The price for matsutake in the Japanese market is highly dependent on quality, availability and origin. The Japanese matsutake at the beginning of the season, which is the highest grade, can go up to $2000 per kilogram, while the average value for imported matsutake from China, Europe, and the United States is only about $90 per kilogram. The Tricholoma magnivelare is a prized mushroom in North America. British Columbia exports large quantities of this mushroom overseas to Asia where it is in high demand. ↑ Ho, Marco H. K.; Hill, David J. (2006). "White button mushroom food hypersensitivity in a child". Journal of Paediatrics and Child Health. 42 (9): 555–556. doi:10.1111/j.1440-1754.2006.00922.x. ↑ Gange, A. C.; Gange, E. G.; Sparks, T. H.; Boddy, L. (2007). "Rapid and recent changes in fungal fruiting patterns". Science. 317 (5821): 71. doi:10.1126/science.1137489. ↑ Michael W. Beug, Marilyn Shaw, and Kenneth W. Cochran. Thirty plus Years of Mushroom Poisoning: Summary of the Approximately 2,000 Reports in the NAMA Case Registry. Polish Mushroom Hunters Club - Photos, Find reports etc. Fungi of Kaluga region (Russian) — Site of Russian mushroom hunter with a lot of photos (with titles in English).